Working with real estate agents can be a good thing, but is it always the best thing? 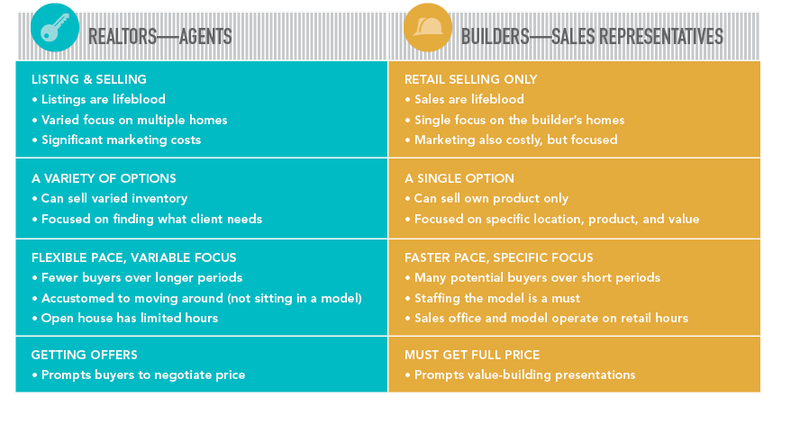 Whether to outsource sales operations to a real estate agent or a broker is a question that arises for custom and small-volume builders that aren’t big enough to develop their own sales team, as well as for mid-size builders that are big enough but don’t think their volume justifies working with an agent. It’s actually a relationship that can work—if you go in aware and informed, and do your due diligence (Image: bykst/Pixabay). Unlike a resale, where half the compensation is in the listing, new homes are about the sale. For a builder to outsource to an agent, it’s important to renegotiate the listing side because for most builders, the listing transaction is an administrative function with unnecessary cost. The object is for agent and builder to create a win-win situation. When that happens, a listing is no longer necessary because the relationship itself provides an abundance of listings. On both sides, there are legitimate concerns. Builders worry that the high cost and potential lack of sales from listing with a real estate agent will do nothing to increase their revenue. (Agents worry that they won’t be fairly compensated by the builder.) Except for the extremely small percentage of regional agents who specialize in representing home builders, agents work in an entirely different universe from builders. Their activities and focus don’t always dovetail with the builder’s needs. The table below illustrates this disconnect. Spell it out. As with any other subcontractor, all terms and conditions should be negotiated and clearly defined: the staffing, agent’s home builder sales expertise, consent for mystery video shops, hours of operation, acceptable terms and conditions of sale, no resale activity from builder’s place of business, and more. Structure the agreement so that compensation is targeted to reward extraordinary sales performance. That’s a lot of money. What’s the agent going to do for you that you can’t learn to do for yourself—better, for more revenue, and for less money? If you get good answers to those questions, establish expectations and proceed. If you decide that you can do it better yourself for less money, look for another broker or set up an internal sales staff. These three builders came up with successful solutions to the outsourcing dilemma. You’ll notice some common themes. Andy Dula, CFO, Stoltzfus Homes, Lancaster, Pa.
• Problem: Sales not optimal, and real estate listings costly. • Disconnect: Listing agents didn’t have a prime focus on marketing and selling Stoltzfus homes. Also, models weren’t open at times convenient for potential buyers. • Action: Stoltzfus revised the listing contract to cover hard costs only, accelerated quarterly sales goal compensation for co-op sales, and established a company-employed sales team. • Benefit: At a master planned community, Stoltzfus will offer two models, with a sales office staffed seven days a week and a sales team at the ready. The retooled listing and sales commission agreements provide more money and less hassle. Nick Thompson, President, Thompson Homes, Owensboro, Ky., and Evansville, Ind. • Problem: For six years, two agents represented Thompson Homes exclusively on both listing and selling sides. But the builder was paying too much on each listing and was missing its sales goals. • Disconnect: The agents weren’t open seven days a week or trained to sell new homes, and they were more interested in the resale market. • Action: When the agents realized that the MLS listing was simply an administrative function for Thompson Homes, the builder renegotiated and reduced that cost. It also created a compensation program for its co-op sales, targeted toward extraordinary sales performance. 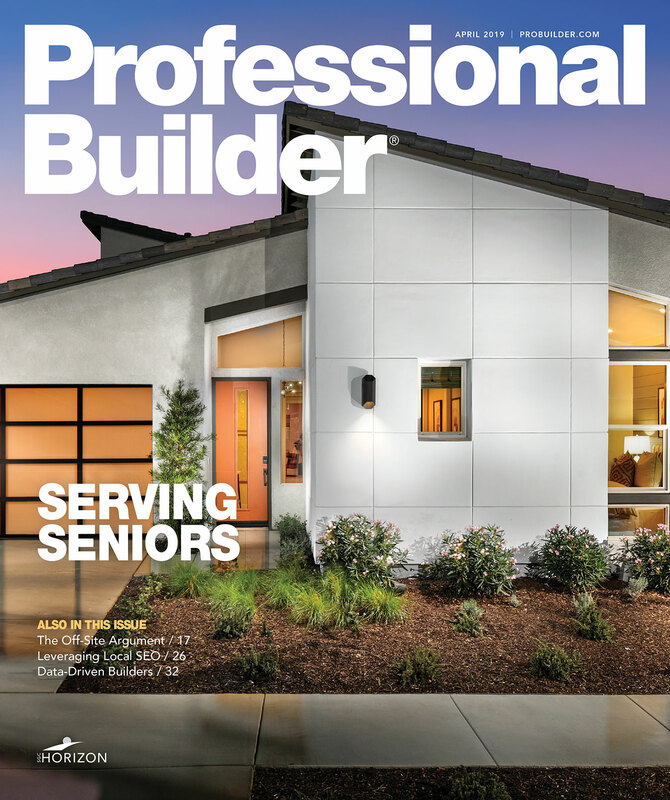 • Benefit: Since implementing this revised, win-win partnership with compensation based on sales rather than listings, sales have increased and Thompson Homes’ listing costs are down by 90 percent. The former listing agents are selling more, and Thompson customers get superior customer service from its full-time, highly trained in-house staff. • Problem: Assumed a broker was needed in order to sell houses. • Disconnect: The agents that Elliott Homes used didn’t staff the builder’s sales offices and models full-time. Each of the three agents wanted his 3 percent. Also, agents engaged in dreaming with customers and tried to redesign the builder’s homes. • Action: Elliott Homes created an in-house sales team, started its own brokerage company, and targeted compensation for agents to co-op sell. • Benefit: Sales increased and listing cost decreased from $9,000 to $1,500 per transaction. Bob Schultz, MIRM, CSP, is the president and CEO of Bob Schultz & The International New Home Sales Specialists. Write him at bobn@i-nhss.com.